In a stunning new novel completed shortly before her death in 2013, award-winning author Lila Perl introduces us to Isabel Brandt, a French-phrase-dropping twelve-year-old Jewish girl from the Bronx who’s more interested in boys and bobbing her nose than the war raging overseas. Isabel‘s sheltered life is turned upside down when Helga, the beautiful niece of her mother’s best friend, comes to live with her family. Helga is everything Isabel’s not—cool, blonde, and aloof. She’s also a German war refugee, with a mysterious past that the inquisitive Isabel is determined to uncover. As she learns more about Helga’s harrowing journey from Hitler’s Germany to America, Isabel begins to understand the horrors of the Holocaust, and the true costs of war. 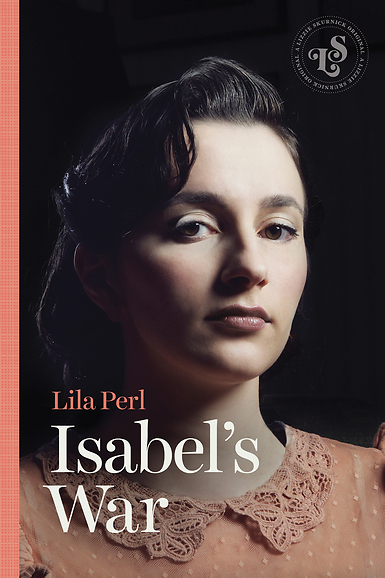 Set during World War II, Isabel’s War is an exquisite evocation of New York in the 1940s and of a young girl’s growing awareness of the world around her.